Bin Storage Capacity 25 lb. Power Usage 6.3 kWh per 100 lbs. What is SensorSAFE infrared dispensing? SensorSAFE infrared dispensing technology allows for easy, no-contact dispensing to reduce the chance of cross-contamination. An infrared sensor automatically starts and stops ice and water dispensing for an efficient and convenient alternative to push buttons and levers. Due to the technology and design of the infrared sensor, units with this feature are not recommended for use with clear containers or applications in direct sunlight. 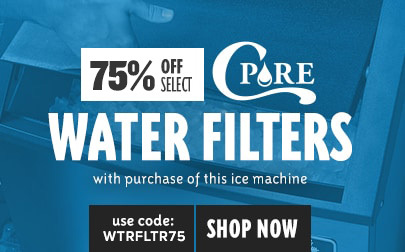 Why is a water filter automatically added to my cart with this item? The use of poor quality feed water may void your equipment's warranty. 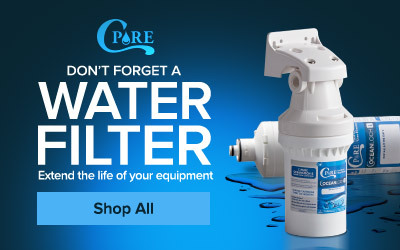 Therefore, it’s important that your water be filtered to the highest quality and a compatible water filter will be included when you add this piece of equipment to your cart. You may remove the filter from the cart prior to purchase. Will this ice machine meet my business’s ice demand? Every business type has unique demands for ice. If you have any questions about how much ice you’ll need please reference our Types of Ice Machines buying guide. 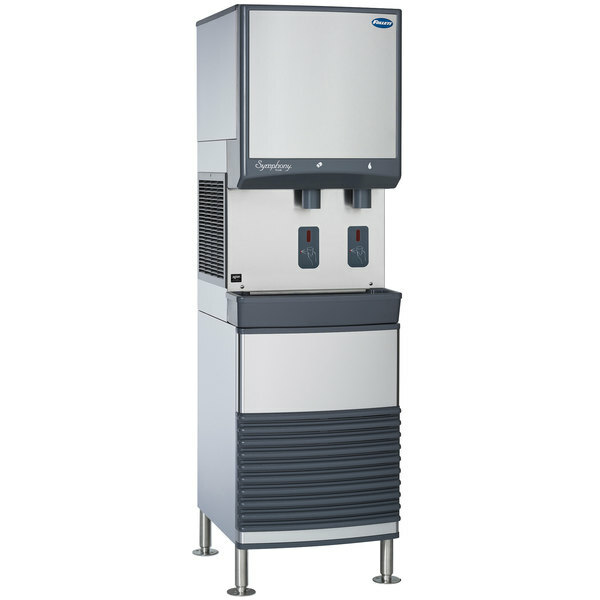 This Follett 25FB425A-S 25 Series air cooled ice maker and water dispenser produces up to 425 lb. of ice per day! Perfect for use in healthcare or hotel applications, this unit produces "Chewblet" compressed nugget ice, which is softer and more chewable than standard cubes. Its freestanding design is sturdy and durable, and doesn't take up precious countertop space. Its 6" adjustable legs allow flexibility to put the dispenser at the perfect height. 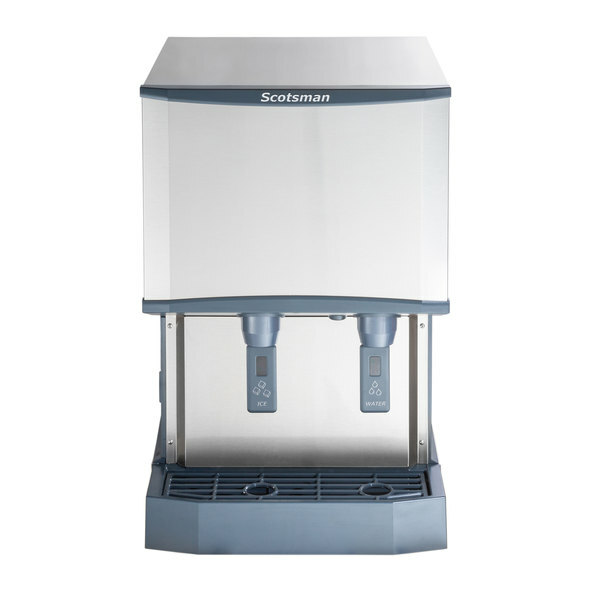 Left to Right: 22 3/4"
Front to Back: 24 3/4"
Check out the Scotsman countertop air cooled ice machine and water dispenser instead! Due to its small footprint, you can rely on this combination ice and water dispenser to make the most of limited counter space. It is a great alternative! Power Usage 5.5 kWh per 100 lbs.